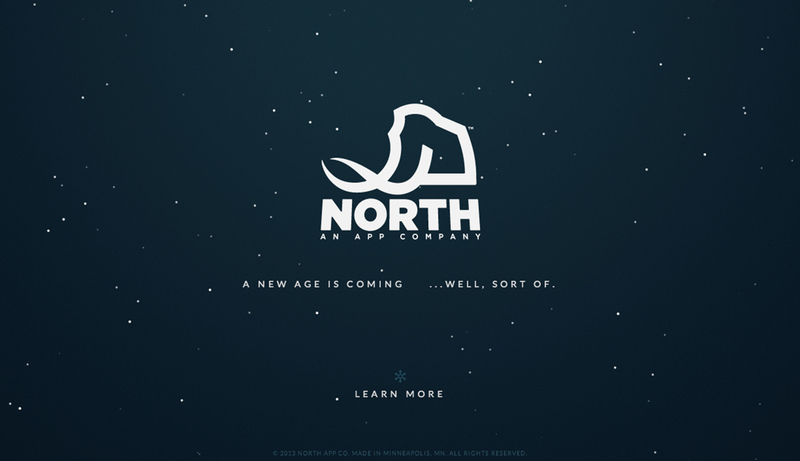 Neat launching soon page with a snowfall effect in the background. Quite like the “learn more” load transition, reminds me of the Star Wars intro monologue for some reason. Logo needs a shout out too, awesome. Our goal in our coming soon build was to hint at our skill sets. We designed and built a simple but rich experience using CSS3 animations and HTML5 canvas that was mobile friendly. The largest amount of time went into crafting the math and code behind the snowfall to try and get the most realistic effect that would still animate well on mobile.